With high-sensitivity GPS and GLONASS satellite tracking, preloaded TOPO U.S. 100K maps, worldwide basemap with shaded relief, and customizable buttons for 1-touch image capture and waypoint marking, Oregon 650t opens a new world of GPS mapping and positioning. Take quality photos with Oregon 650t's built-in 8 megapixel autofocus digital camera. 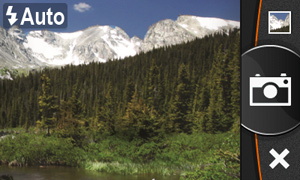 Each photo is geotagged, allowing you to navigate back to that exact spot. 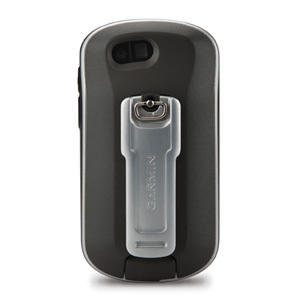 Share the photos with all your friends through Garmin Adventures. For more storage, insert a microSD™ card. 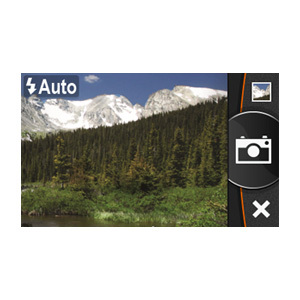 You can even view pictures from other devices on microSD card with Oregon’s picture viewer. Oregon 650t has reflective display technology for the most brilliant, sunlight readable touchscreen we’ve ever made. The screen is strengthened for impact resistance, with multi-touch and dual orientation views that accommodate gloved operation. 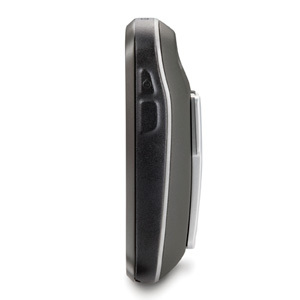 Oregon 650t features our state-of-the-art dual battery system. You’ll have the option of using the internally rechargeable NiMH pack (included) or traditional AA batteries — NiMH pack charges when the device is connected to external power. 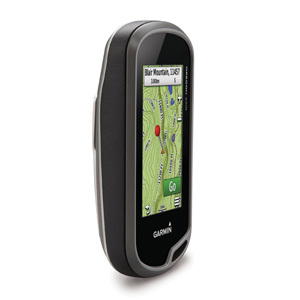 Oregon 650t comes with built-in US topographic data for the entire US, including Alaska, Hawaii and Puerto Rico, and a worldwide basemap with shaded relief — all the tools for serious climbing or hiking. 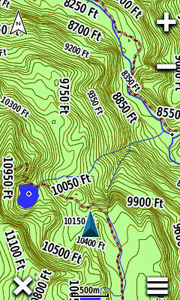 Map detail includes national, state and local parks and forests, along with terrain contours, elevation information, trails, rivers, lakes and points of interest. 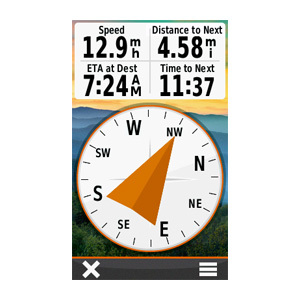 Oregon 650t has a built-in 3-axis electronic compass with accelerometer tilt compensation to show where you're heading even when standing still, or not holding it level. Its barometric altimeter tracks changes in pressure to pinpoint your precise altitude. You can even use it to plot barometric pressure over time to keep an eye on changing weather conditions. With its high-sensitivity, WAAS- and GLONASS-enabled GPS receiver and HotFix® satellite prediction, Oregon 650t locates your position quickly and precisely, and maintains its GPS location even in heavy cover and deep canyons. 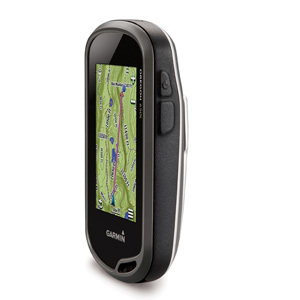 With Oregon 650t you can share your waypoints, tracks, routes and geocaches up to 50 times faster with other wireless compatible Garmin handheld devices. 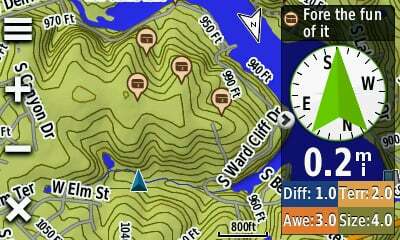 Plus, you can share large files too like photos, Garmin Adventures and Custom Maps. Just touch “send” to transfer your information. Adding more maps to Oregon is easy. 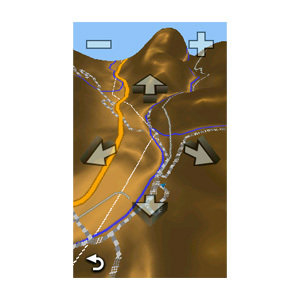 Load TOPO U.S. 24K maps and hit the trail; add Trailhead Series TOPO maps and explore famous treks like the Appalachian Trail and the Pacific Crest Trail; plug in BlueChart® g2 preloaded cards for a great day on the water; or load City Navigator® map data for turn-by-turn routing on roads. Add satellite images to your maps with BirdsEye Satellite Imagery (subscription required). No more picking, choosing and planning, just download them all. Oregon 650t can hold up to 4 million. 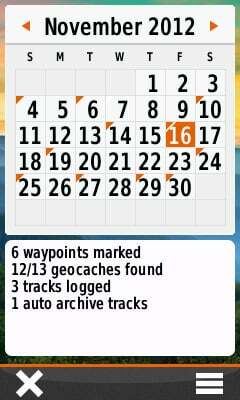 Download every cache on Geocaching.com. Load caches using your favorite program or website that supports GGZ files. All your paperless geocaching features will be there for every cache. Read full descriptions, hints and logs. Filter caches by size, terrain, difficulty and type. Connect to chirp-enabled caches. Record your logs in the field. Do it all. Reflective display technology uses external light, such as sunlight, in combination with the device’s LED backlight to increase brightness and viewing. Plus, you conserve power by not having to turn the backlight up. 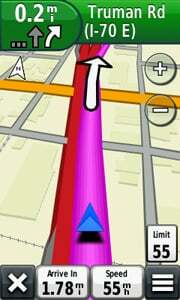 View maps and data in portrait or landscape mode. 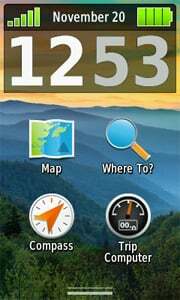 Landscape mode is great for typing and road navigation. 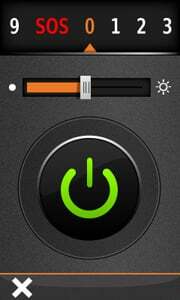 Torch has high and low brightness levels and strobe options to conserve battery power. 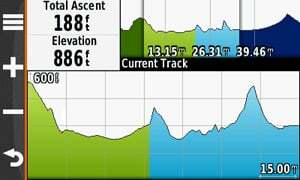 Full Track view lets you see the entire elevation plot and quickly move your zoomed view to any place on the plot. Future Plot uses your mapping data to show what to expect ahead. Get 33 percent more data on screen at once with new layout options. Add multiple pages of data fields, each customizable to 1 of 4 layouts: 2 large, 1 large and 4 small, 6 small or 8 small. 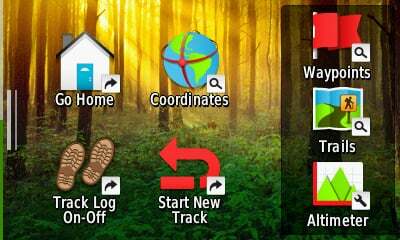 Track your accumulated activities, waypoints and geocaches; tracks on the day you do them. All data is displayed and editable on 1 screen. 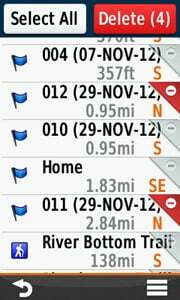 Delete 1 or multiple waypoints at a time from the Waypoint Manager menu. 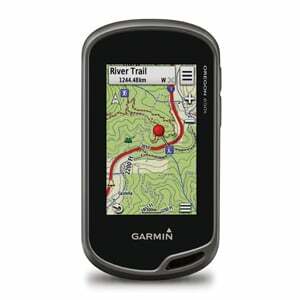 Now you can wirelessly transfer large files such as photos, geocaches, adventures, routes and Custom Maps between Oregon 600-series devices. 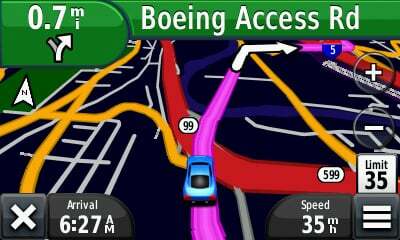 Plus, new technology allows your routes, waypoints and tracks to transfer up to 50 times faster. Oregon is also ANT+ wireless compatible for heart rate, cadence, chirp™ and tempe™ sensors. Launch apps, switch Profiles, apply settings and start navigating with 1 touch. Dashboards let you hide and show more functions to your favorite app. 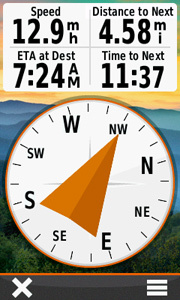 With this at-a-glance information, you can multi-task without having to disable the app.